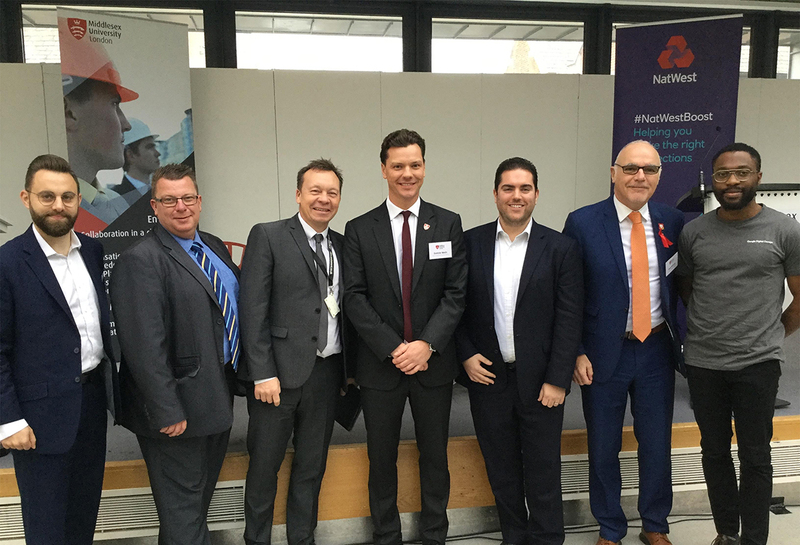 Over 200 Barnet employers attended a NatWest Business Boost event at Middlesex University on Tuesday 14 November. Guest speaker Ade Bamgbale from Google Digital Garage discussed how to improve your online presence while Adam Maurice and Mitch Young, co-founders of Fusion Consulting, also provided insight into how they grew their business. In his keynote speech, Director of Corporate Engagement David Williams emphasised the important role that Middlesex has in the Barnet community. The University is the biggest employer in the Borough, supporting nearly 4,000 jobs and generating more than £280 million a year for the Barnet economy. Unitemps MDX, which will allow local businesses to tap into the wealth of talent, creativity and innovation of Middlesex students for temporary, part-time, flexible, cost-effective staffing needs. MDXc.e.l (collaborative.experiential.learning): a ground-breaking pilot initiative that will offer local business, charities and social enterprise the opportunity to present challenges, projects and tasks to student teams who will work to develop innovative solutions. David concluded that MDX is committed to working in partnership with Barnet employers and will continue to develop new projects to benefit the local community and Middlesex students.